Lots of trails easy to get lost and have a great time. Porta pots and fresh water at the shelter house past the gate, also a playground and amphitheater. Review: It was a really fun trail ride. The trails need to be marked better though. My only concern was the barb wired fence by the trail. As we were sitting on the picnic table, two fawn came up behind us. The fawn was startled once he seen us and ran straight into the barbwire fence. The fence was not marked very well and I don't understand why a barbwire fence would be needed in the middle of the woods anyway. 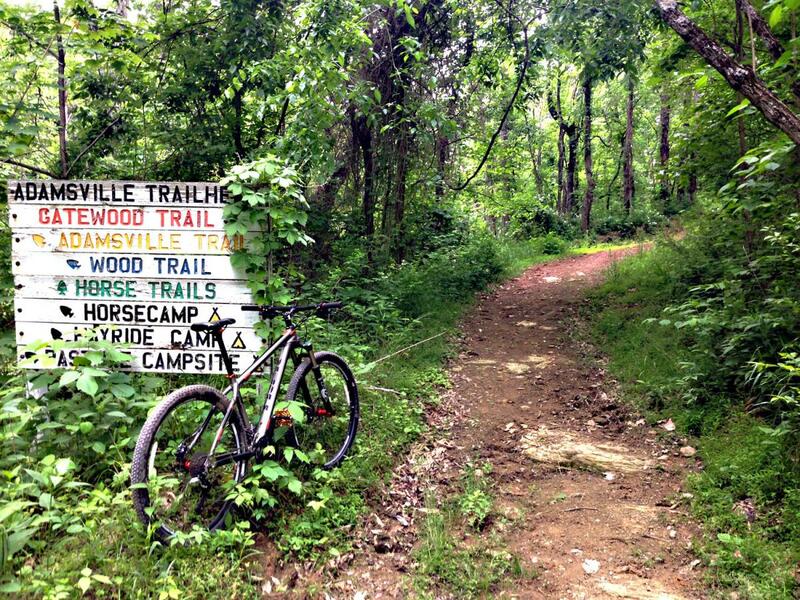 Review: Look for Bob Evans camp ground, trail head up road on right.. Trails not well marked but very fun riding with lot's of flow depending on direction of travel. All the trials I road on where in wood's and refreshingly cool on a hot day. Some trails had quite a few leaves down for early September and had to be careful because of a recent rain. Wood definitely ride again on my way through. Review: This trail has a lot of potential. Trail needs some work and upkeep but in all its a good trail that is close to home. Jon F. Burris Memorial Trail System MTB Trail 4.25 out of 5 based on 4 ratings. 4 user reviews.